Irish actor Liam Cunningham, who portrays the character of ‘Ser Davos Seaworth’ in HBO’s ‘Game of Thrones’, may have revealed the release date for the seventh season of the popular TV show. “There's going to be a launch and something special happening this year for the premiere. The bad news is, there will only be seven episodes and the final season starts again as far as I know in September,” he further added. Although every prior season of the series began airing in April, except for season 3 which aired on 31st March back in 2013, this year the premiere date has been pushed back far too long. As stated by thewrap in January, the reason behind this extra delay is because of a necessary shift in the shooting schedule for the seventh season. We also know that the final two seasons of the series (i.e. seventh and eighth) will each be shorter than the earlier six seasons which each featured 10 episodes. 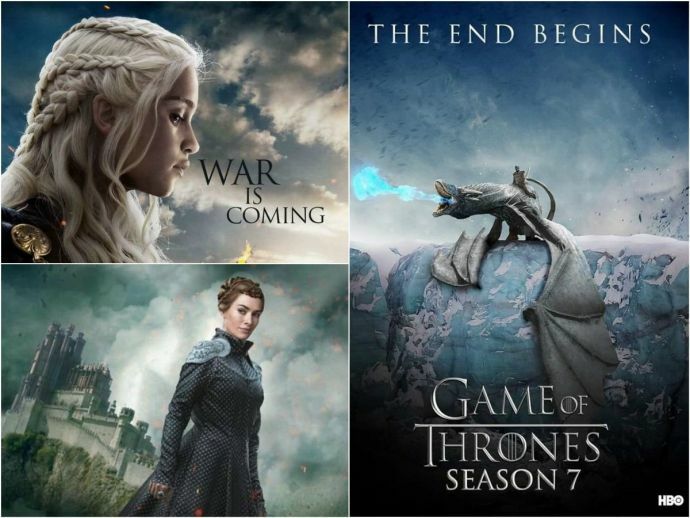 As of now, the seventh season will have 7 episodes whereas the final eighth season will showcase 6 episodes. And with the seventh season not kicking off until July this year, unlike it previously used to, GoT fans definitely have a bitter pill to swallow. However, on Saturday, HBO dropped a brief promo which reassures the viewers that the show is ‘in production now’. The 13-second clip shows simply a shot of a hand holding the ‘Oathkeeper’, a rare Valyrian steel sword that was gifted to Brienne of Tarth by Jamie Lannister for a special mission to rescue Sansa Stark in season 4.